Continuing with my National Stationery Week posts, today I thought I would share my favourite places for buying awesome stationery supplies, because who doesn’t need more stationery in their life? If I buy a diary or notebook, 9 times out of 10 I will get it from Paperchase or TK Maxx as they have so many choices, and tend to have good quality paper. I really enjoy popping to TK Maxx now and then to have a little browse of the notebooks on offer. They are forever having new stock in, but the downside is if you see something, you really need to buy it there and then as you may be disappointed to return and it’s no longer on the shelf! I have bought a few lovely notebooks from there – they often have some Kate Spade-esque ones. They sometimes have Moleskines too which are really good quality notebooks. Cult Pens is my go-to website if I’m in need of new pens. They stock an absolute ton of different pens, and also hard to find refills… Does anyone else have certain pens that just feel ‘right’?! And you dread the day they run out? Well that’s when I usually take a peek at Cult Pens to see if they have the refills I need. They also stock some great pens for journalling and scrapbooking too… The Posca pen is perfect for writing on photos, and I do love pastel gel pens! Similarly, The Range has a large selection of pens to choose from, from budget friendly to more specialist pens. I do love stickers for decorating my diary, and also find sticky notes and page markers really useful… So why not have some cute ones?! 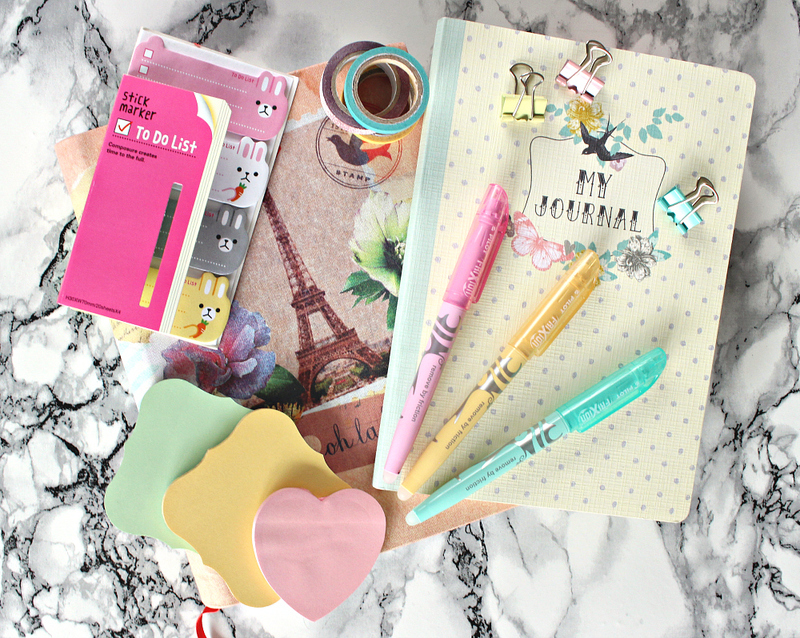 I mean kawaii to-do lists that you can stick on your diary, could things get any cuter?! The planner stickers are so cute too, and just make planning a little more enjoyable for me. Another favourite of mine for making things look pretty is washi tape. It’s super handy as not only can it can be used for decoration, but also sticking down things such as photos, to-do lists… It’s removable so you can re-position things if you put it in the wrong place, or if you want to move things about in your diary or planner. I like to use the small thin tapes to add emphasis to important dates. I also use the Posca pen linked above to write on the tape too.